Councillors say they are 'determined' to roll out a project to bring free Wi-Fi to the capital's streets despite the bankruptcy. Councillors are "determined" to roll out a project to bring free Wi-Fi to Edinburgh's streets by the end of the month despite the providers going under. The network was due to start being rolled out at the end of the month and installed in the city centre and areas such as Leith, Portobello, Bruntsfield, Morningside, Stockbridge, Corstorphine, Dalry and Gorgie. 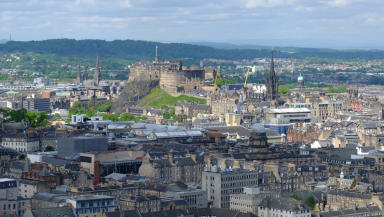 On Monday, providers Gowex, who signed a ten-year contract with the City of Edinburgh Council to run the network earlier this year, filed for bankruptcy. In a statement to the Spanish stock exchange, Gowex said their chief executive officer admitted filing inaccurate accounts. Following the news, councillor Frank Ross, the economy convener at Edinburgh Council, said the council hopes the project will still launch. He said: "While the Gowex collapse is disappointing for the council and for the many businesses and residents who have been looking forward to the network going live, the council’s intentions remain the same and we are determined to roll out free outdoor wi-fi in Edinburgh. "We are working hard to identify the full impact this development will have on the project and what the council’s next steps will be." The equipment for the project was to be attached to council-owned buildings, lampposts and CCTV columns. The local authority were given £10.7m from the UK Government’s Super Connected Cities programme to help fund the scheme.